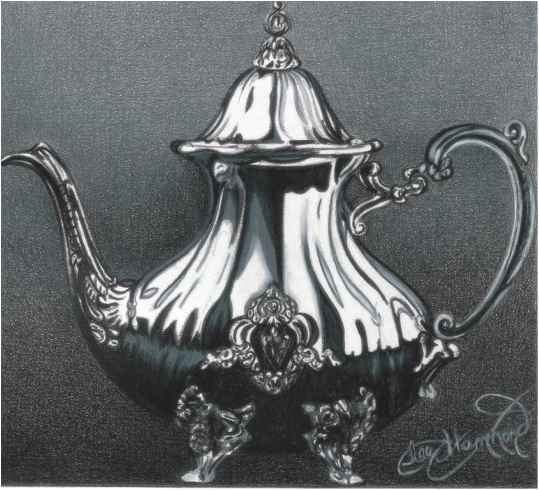 Everything with an edge, lip or rim has reflected light along it. When drawing perspective remember that closer areas appear larger while areas farther away seem to shrink. When teaching, I find that many of my students will avoid heavily textured items because they seem too complicated ordifficult.Textures can be a wonderful addition to your artwork and can open the door to many fun and challenging projects. Uniquely textured objects can be found all around you. From the curtains, towels and blankets of your bedroom to the wood, stone and brick that make up the building where you live. Home improvement magazines and catalogs also offer a wealth of examples to help sharpen your skills. Start practicing, because learning to draw fabrics, folds and textures accurately can open up a whole world of artistic possibilities. This pineapple is made up of a variety of interesting patterns and textures. Notice how the segments of the pineapple change depending on the lighting. They appear dark on the left side, with the underside of the flaps lighter in color. On the right side, the segments appear more of a yellow color, with the underside of the flaps darker in color. I used both layering and burnishing techniques to create the differences in surface textures. There are five basic folds to look for when drawing fabric: drape, column or tubular, interlocking, coil and inert. Each one has very distinct characteristics, and each one should be committed to memory. Fabrics contain soft edges where the material gently curves, as well as hard edges where it creases and overlaps. Many of these areas resemble the cylindrical shapes we studied in chapter three. 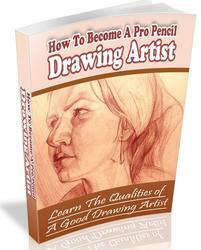 The five elements of shading are also applied when drawing the folds to make it look realistic. This fold is created when fabric is hung by two points of suspension. Can you see how different the towel looks in this example? 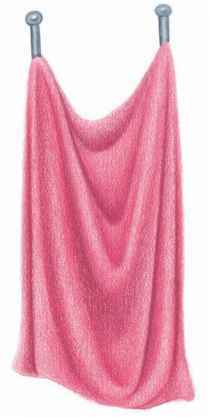 The fabric creates a U or V shape, and is often seen in things like cowl neck sweaters and shawls, or any time fabric is hung over something. The reflected light is also obvious. Extreme lighting is often the most important element of artwork, offering much more interesting shadows and contrast than an ordinary light source. Look for interesting ways to light your subject matter when taking reference photos. Notice how the background colors of the pineapple on the previous page shift, going from deep, dark color on the left to bright, sunny color on the right. This is the most common fold, and is often seen in clothing and drapery. To recognize it, look for the cylindrical, tube-like folds that are created by the fabric being suspended by one point. It requires the same principles as drawing a cylinder, so go back and review chapter three for practice. Look at how reflected light is seen along the edges where the fabric folds and overlaps. This fold is created when fabric falls in layers, and the folds nestle inside one another. This is often seen in bulky clothing such as coats and sweaters. Note that the recessed areas are deeply shadowed. This fold is created when fabric is sewn into a tube shape and wraps around a cylindrical object. It is most obvious in sleeves, socks and pant legs. The fold takes on a spiral appearance. Look at this example of a blanket resting against a couch back. Most inert folds will also contain other types of folds as well. This blanket contains column folds where it hangs off the edge. Look closer and you can find some interlocking folds as well. This type of fold is found when fabric is not suspended at all. A piece of fabric lying on another surface will have creases and folds that go in every direction. 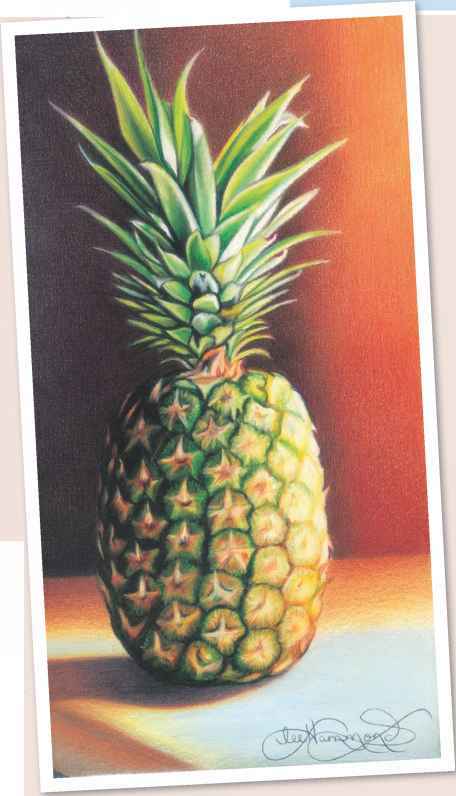 How to color pencil pineapple? How to draw a pineapple realistic? How to draw fabric in colour pencil? How to draw draping fabric using pencil, ink as fashion illustration? 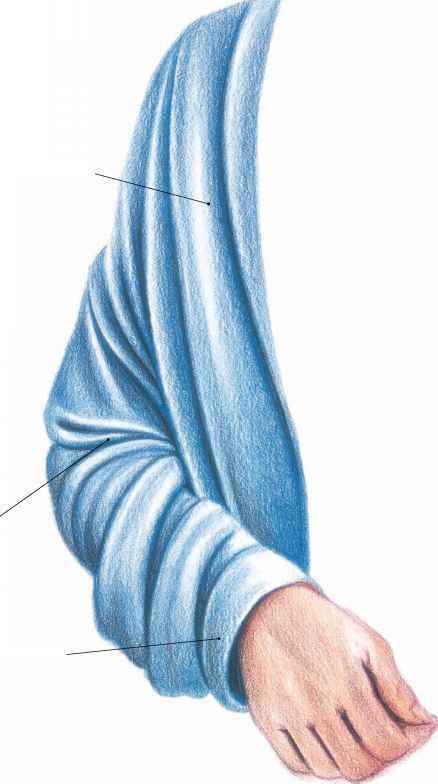 How to draw folds in colored pencil? How to draw and color a pineapple? 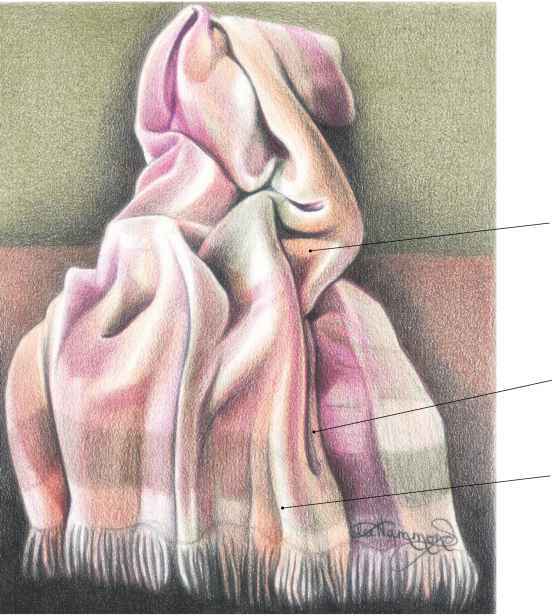 How to draw pencil colour shading drape? How to skatch towel with colour? How to color in any cloth by pencil color? How to draw pinaple in colour? How to shade white clothes with coloured pencil? How to color anime clothes with colored pencils?